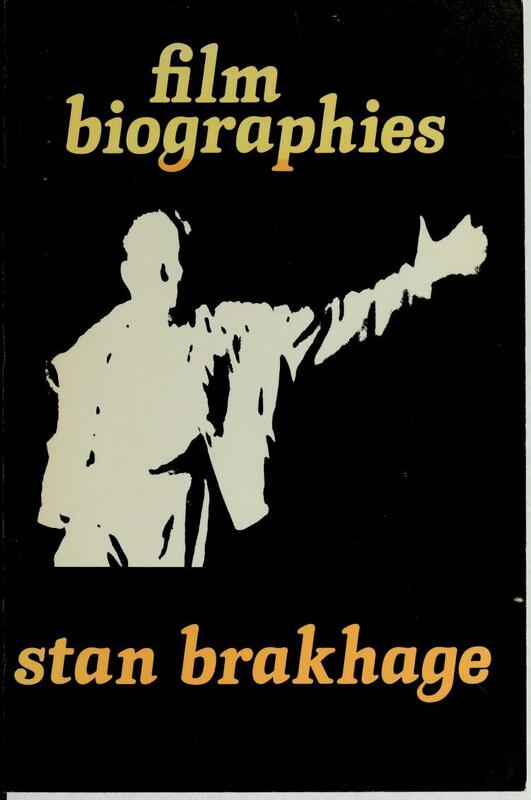 A collection of lectures delivered by Brahkhage while he was teaching at The Art Institute of Chicago in 1970-73. Filmmakers discussed include George Melies, D.W. Griffith, Carl Theodore Dreyer, Sergei Eisenstein, Charlie Chaplin, Laurel and Hardy, Buster Keaton, Jean Vigo, Fritz Lang, F.W. Murnau, and Alexender Dovzhenko. A special lecture is dedicated to The Cabinet of Dr. Caligari. Introductions to the text by Robert Creeley, Edward Dorn, and Guy Davenport.